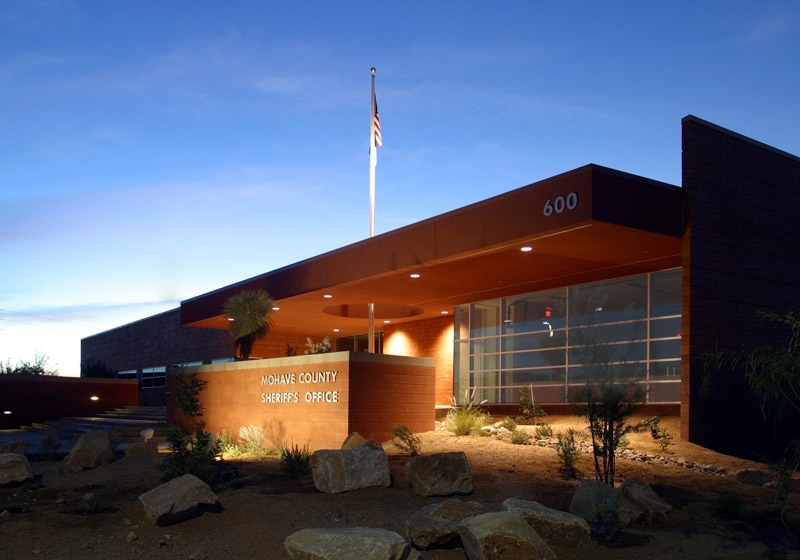 TSK designed the Mohave County’s Sheriff’s Office in response to site conditions and user requirements. The architecture is influenced by the desert, with forms and materials that are reminiscent of the surrounding landscape. The primary mass of the building is oriented on an east-west axis to maximize opportunities for natural daylighting and views with windows that face north and south. A smaller wing, oriented on a north-south axis, screens the building from the busy I-40 interchange, which is located just west of the site. The building takes advantage of the natural topography of the sloping site by placing all public spaces slightly above the natural grade level and recessing a lower service level into the slope. A raised entry plaza provides access to a reception area and a multi-purpose meeting room. 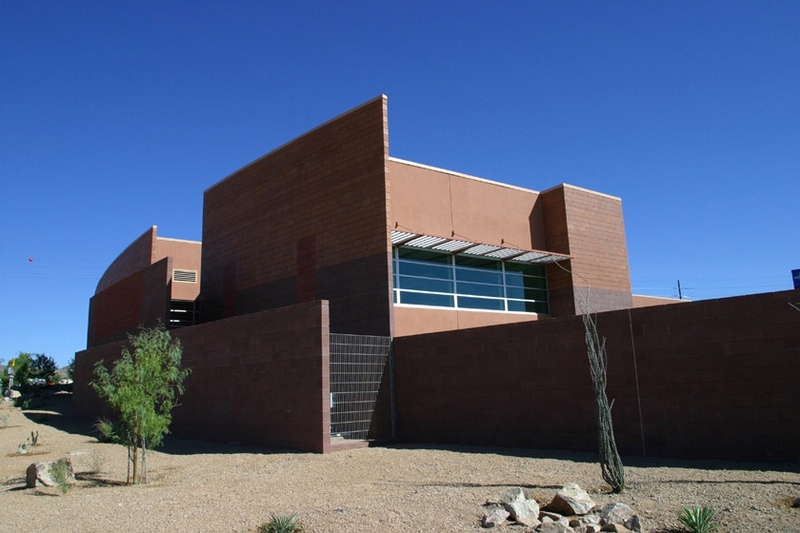 A secured corridor system, restricted to sheriff station personnel and escorted visitors, provides access to the rest of the facility. Central records, administrative offices, community relations offices, detective’s offices and an employee break room are located on this level. The lower level of the building houses patrol offices, locker rooms, a fitness center, search and rescue, a holding area, crime labs and evidence processing, and storage. A convenient evidence drop off area is provided under the building along with secured parking for ten cars. The secured parking area provides access to the vehicle processing component of the lab and may also function as a sallyport when suspected criminals are brought to the facility.